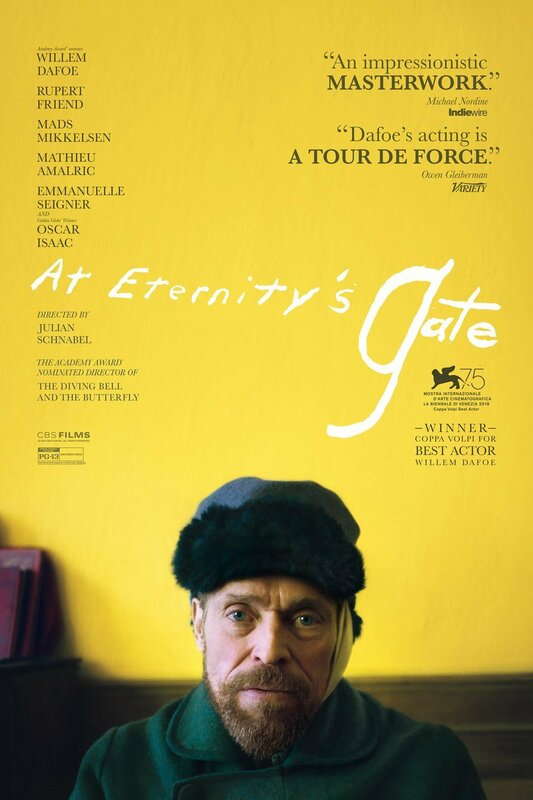 Select Pix at Woodstock Theatre presents At Eternity’s Gate on Monday, March 11th at 1pm and 7pm. Admission: $6 matinee/senior and $8 evening. A provocative and deeply human portrait of the final two years of Vincent Van Gogh's life.